Nothing is as important in anyone's life as a sincere faith in Jesus Christ, the Savior of the world. But to a large extent, our faith in him is based upon the word of God as revealed in Holy Writ. It was the Savior himself who said, "Search the scriptures, for in them ye think ye have eternal life, and they are they which testify of me." If, due to the tampering of men, the scriptures do not tell the story originally intended, they are weakened and faith which is based upon them is weakened also. Then it becomes a matter of vital interest to each of us to know which of the various versions and translations of the scriptures we should use. 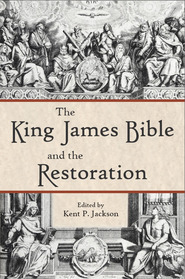 In this volume, President J. Reuben Clark, Jr., presents his reasons and those of other scholars for considering the King James Version the best translation of the Bible ever produced. The work is the result of a lifetime of careful research and investigation. 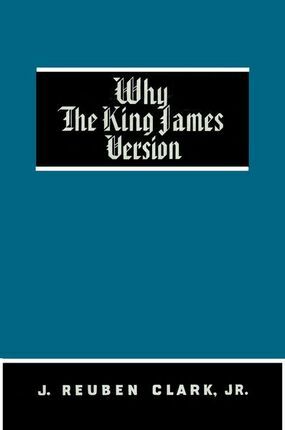 It will be of inestimable value to all students of the scriptures, and particularly to members of The Church of Jesus Christ of Latter-day Saints, which accepts the King James Version as one of the four standard works of the Church. This work will add faith and testimony to every reader. It is one more evidence of the divinity of the Lord Jesus Christ, the Son of the Eternal Father.